SAN DIEGO—Did you know the investigation into the 1912 sinking of the RMS Titanic produced new requirements, such as all commercial vessels must carry enough lifejackets and lifeboats for everyone aboard, plus enhanced safety equipment and crew training? Or that the U.S. Coast Guard revamped its search and rescue practices following investigations into a fatal 1997 Charleston, SC, sailboat accident? Recently I met with the USCG San Diego Sector’s marine casualty team, Senior Marine Investigator Lt. Cdr. Stefanie Hodgdon, Investigating Officer Lt. Miguel Maldonado and Marine Investigator Greg Cable, to learn about the investigative process. 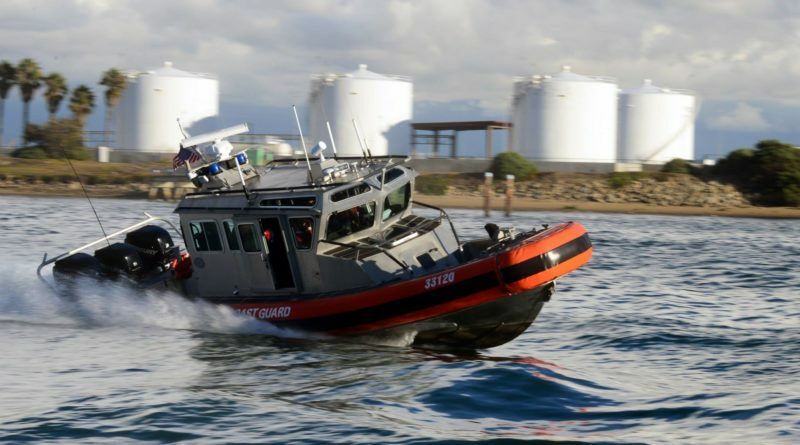 They noted the USCG primarily investigates incidents involving commercial vessels while state and local authorities mainly investigate incidents involving recreational boats. “We investigate accidents to prevent them from occurring in future,” explained Cable, with 29 years in the inspections and investigations field. Investigators have subpoena power if needed, though usually USCG-licensed mariners involved in accidents cooperate because they want to retain their credentials. She emphasized anyone involved in an incident retains his or her Fifth Amendment rights to due process. Where subpoena powers come in useful are for documents essential for their enquiry as well as medical or autopsy records. Owners of commercial vessels, other affected businesses or government agencies may not turn over material without a subpoena. Investigators interview witnesses and examine vessels and instruments. They gather physical evidence, electronic data, photographs, audio and video recordings and collect any other relevant material that will help them determine the causes of the marine casualty. This may include evidence relating to the vessels’ maintenance and physical condition and mariners’ work records. For more complex cases, if needed, they can draw on the knowledge of USCG divers or the Coast Guard Investigative Service, which can do technical analyses. If investigators require more specialized expertise they can also call in the USCG’s New Orleans-based National Center of Expertise, which focuses on marine investigations. All this requires time. For thoroughness and fairness investigators look for multiple sources to supply data and information to discover what happened, not a single source. There is no time limit for individual investigations. A simple enquiry, such as a straight-forward injury or natural-causes death aboard a cruiseship, might take a day or two, while a complex investigation into a collision or sinking can take several years. The investigating officers do not make final decisions about the outcome of investigations or determine any penalties. “We only provide recommendations based on the investigations,” Hodgdon explained, with administrative law judges issuing decisions and providing adjudication following hearings. The hearing and review process, during which Coast Guard investigators present evidence before the assigned administrative law judge, can be lengthy. Only an administrative law judge, informed by the investigator’s recommendations, can lift a mariner’s license. However, if investigators find a credentialed mariner poses an imminent risk to public safety – such as the drunken Hawai’i dive captain who abandoned his passengers in the water – the Captain of the Port can suspend a license temporarily, provided a judge hears the case within 30 days. In serious cases they can make a referral for criminal prosecution, but more typically investigators are looking for an effective resolution, such as a letter of warning or recommended educational course. “We’re not after the mariner’s credentials. We’re seeking remediation. How can we fix the issue?” Maldonado explained.